welcome to the museum of joy: Say, What the Heck is This Museum Anyway? It occurred to me at three o'clock or so this morning that although I've got a nice little verbose and flowery blurb about it, and plenty of posts referring to it, I haven't actually sat down and told you just exactly what I imagine this whole Museum thingy as one day actually being. Wonder and beauty and joy and blah blah blah, yeah, okay, but how do you actually put that in a museum? Today I want to talk about that. I'd like to paint you a picture of the place, by which I mean talk a lot and include many lovely pictures of things I didn't make but like to imagine I could one day vaguely approximate. And, of course, I want ask for your input. Because what fun is building something awesome if nobody comes? And joy, while intrinsically an excellent thing, is magnified and multiplied when it's felt, shared, and experienced by a whole community. So please, at the end of it all, tell me what you think I'm missing, the vital things YOU'd need to have a museum that left you truly feeling joyful in your bones. As I've mentioned, I really, really love low impact/natural building techniques, because they are simultaneously beautiful, affordable, and morally righteous. 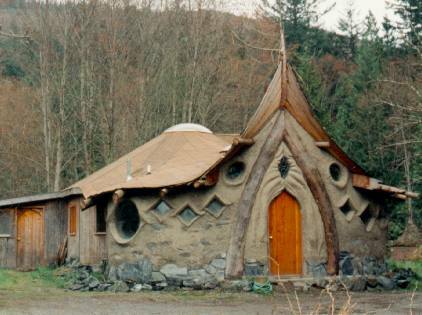 Cob houses are my particular favorite because you can basically make them look like magical dream huts, and let's face it, all I really want out of life is to build a colony of magical dream huts and then invite everybody to come hang out. That is the essential basis of the Museum. Not the whole thing, mind, but the kernel of it, definitely. That's because I have a theory that being in really unusual, sensuous, beautiful, thoughtfully & lovingly made spaces do special things to our minds. We're generally unaware of this because we spend so much time in essentially bland, boring, neutral, or downright ugly places - which only serves to make the experience of awesome places more awesome. I tested this theory when I made my thesis work, which was a crazy indoor installation like the inside of a magical forest in my living room, and everybody who walked into it - even people who don't usually care much about art, or the kind of pretty shiny stuff I like - came out with a kind of stagger like a drunk bumblebee leaving a particularly nectarous flower. Most people felt like kids again, all buzzed with glee and wonder. I know this because they told me. Also because I tried really hard to build it that way. So it's not going to be some big honking marble hall in Manhattan. It's going to be a bunch of weird and whimsical mud huts. 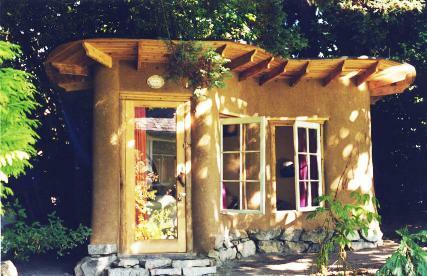 I mean freakin' beautiful mud huts. Works of art in their own right. Just walking in should make you feel awesome and relieved and light of heart and spirit. But what's actually inside? How do you build exhibits for a Museum of Joy, anyway? 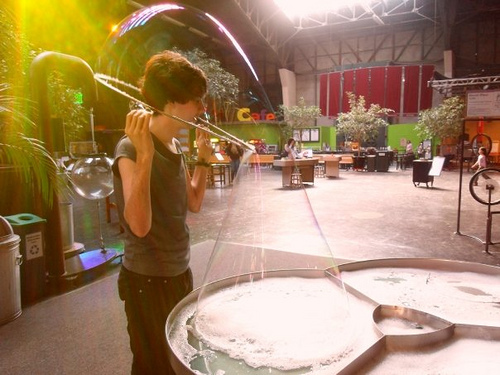 Here I want to take a leaf out of the Exploratorium's book (and have I mentioned that I get to volunteer there starting in mid July? You guys I am so excited it is stupid) and make sure that a whole lot of the stuff in the Museum is totally crazy, inventive, and above all interactive. (Will there be giant bubble trays? You better believe it.) Stuff that makes you go whoa, that is SO COOL ZOMG is going to be very important. What kind of stuff? Well, since I'm just dreaming, here, it can be whatever I want, so: a bicycle that makes a puppet show play out when you pedal it. Holograms. Instruments that make colored lights appear when you play them. I don't know. Cool stuff. I'll come up with it later. Also, lots of space for performances. Plays. Dance shows. Acrobats. Music. 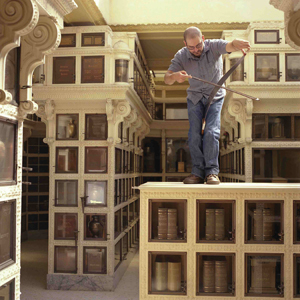 Since blatant thievery is totally okay in the service of great art, why not lift a concept from another of my very favorite spaces in the universe, the Chapel of the Chimes in Oakland? This magical chapel, which is one part labyrinth, one part library, and one part house of the dead, hosts a Summer Solstice event every year called "The Garden of Memory" where musicians from all over the San Francisco Bay Area come to the Chapel and set up in its many nooks and crannies and play music, and you, the lucky visitor, get to wander through the marvelous rooms drifting in and out of different melodies, stumbling upon unexpected music, and generally having a bloody magical auditory experience. Do I want to do one of those? You'd better believe I do. Do I want something like that to be going on all the damn time? Um, yes. 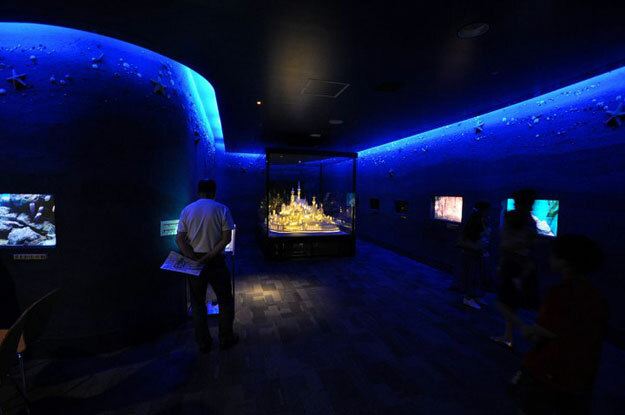 I want the place to be filled with fascinating, moving, delightful, creative events as well as exhibits. 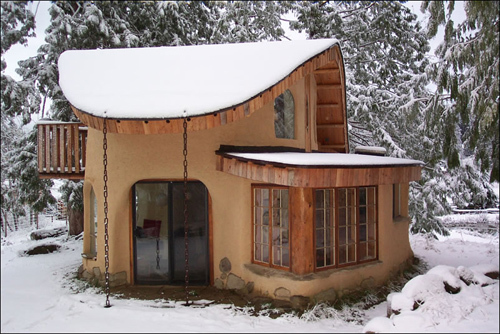 I want you to walk in and join a dance party, or learn how to play the kazoo in an impromptu orchestra, or find yourself standing up after five minutes of watching a poetry reading with a book in your hand to read something that makes your heart tingle and ache. I want you to watch a play that makes you laugh and a dance performance that makes you cry. I want you to feel very, very slightly overwhelmed by the richness of feeling around you. Here is a diaphanous paper fairytale castle. want to see the other pictures on there. reason he has no website. And I do want to have exhibits that are not necessarily interactive so much as just bloody inspiring. Art that makes you want to go home and pick up the scissors and the glue gun and make something for yourself, your kids, your lover, your best friend. Diaphanous paper creations that look impossibly detailed made by a trucker from Ohio. 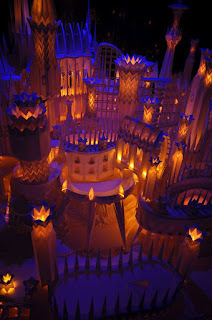 A fairytale castle of a dollhouse, handmade by a lovely young woman who works an ordinary job when she's not laying minute tiles or building working chandeliers at 1:12 scale. Paintings that look like your dreams. A treehouse made of animal bones.Art, that is, that's been selected for its ability to make you feel like the world is full of small miracles and other people who also want to live lives full of magic. Will there be art workshops for kids and adults? There will. Will be be stupidly expensive? They won't. Do I want blacksmiths, writers, puppeteers? Of course. Can you hang out with them? That's the plan. Finally, here is an idea I've been toying with that is not my own, but which was presented to me as if it was, and which I kind of love a lot. Let me explain. I was at a bar with the very cool Patrick Kavanagh, who runs the Aberystwyth-based writer's blog THE FACTORY, and his awesome girlfriend Calista,and we were talking about joy. Specifically, we were talking about the difference between joy and happiness, and how joy is inherently an in-the-moment experience, in which there is always bound up a certain sense and acceptance of loss, the knowledge that it will pass. It's a flash of an emotion, a sudden glory, not built to stick around. It comes an illuminates the world and then it goes away, but it's okay, because the moment of its being reassures you that existence is worthwhile. And I was talking about the Museum in the context of joy, and Patrick said - as if he was picking up on my idea - "Oh, so the exhibits are never the same! How cool!" (I'm paraphrasing; I was too staggered to note the exact words, just the brilliant idea.) And I kind of blinked, because I had not ever thought of this before, and he was saying it as if he had just logically understood that's what I meant from what I'd said about the experience of joy. "Right," I said, "exactly, every time you come, it's different, and you discover everything all over again." made of cob and therefore EVEN COOLER. Same source. And that is, in fact, exactly what I want to do. I don't mean throw out every exhibit every day, obviously. (That would be dumb. Really, I'm not dumb.) And of course it'll be a helluva lot of work to constantly keep moving and changing and rehanging the works. (Have you ever hung a show? It's a bloody pain, it is.) And yet - there is something so intensely compelling to me about the idea of a museum that is constantly shifting, so that I might only get one chance to see something I love, or else come back and stumble across my favorite piece somewhere completely different, and be surprised and delighted about it in a whole new way - it would be a way to keep it alive, a gentle, gradual, subtle transformation, the same way we supposedly change out our whole skin every seven years. Instead of just swapping out exhibits - things quietly alter. (Sometimes, perhaps, behind your very back.) I want the Museum to feel like a living being, full of growth and marvel and surprise. What do you think, dear readers - would you hate it horribly, or would you find such transformation a source of wonder, discovery, and joy? So you're going to be back out this way this summer, huh? Permanent or temporary? It sounds like you want your museum in the Shire, but you may not go build it in New Zealand. As for kids... I have mixed feelings. 1. I highly dislike the growing prohibition against children in the USA. It's a growing trend to ban kids from eating establishments and movie theaters and who knows where all else, and I think it's wrong. 2. Of course, the real issue is that parents, in "protecting" their children, don't want to tell them "no." It's bad parenting, but it's all in style, right now, and I hate that, too. 3. Probably, if you have kids that can't behave, you don't want the parents of those kids, either. And age is not so much the issue as it is the parents, because parents who don't teach their kids to behave have kids at 10 or 12 that are no better than kids at 6. 4. So I don't know... Maybe a special "kids area" that's more like a childcare center? Or an application process for families (that would take a huge amount of work)? My wonderful friend Courtney came to almost exactly the same conclusion about kids. Here's what she wrote me: instead of "a hard and fast rule about no kids under 6 (not all kids are unable to walk through a public space without screaming or fussing and i'm sure so many would be delighted by everything around them)" she suggests, "maybe there could be a separate area of wonder, joy, and delight for children where childcare is provided, parents could have the option of dropping their child off or bringing their child to experience the museum with them? they know their child best. maybe it could be communicated that parents are strongly encouraged to let their children explore in the childcare area or get tended to outside if they are fussy or if the parents feel that might be a better place for them, in order to maintain the experience for all museum goers? i think of children as part of joy and the biggest wonder-ers, as well as parents deserving full access to joy and wonder themselves...so seems like something that should be worked around as much as possible!" That's exactly why I asked. Not being around kids much, would I have come up with that by myself? Probably not. I think it's a lovely idea. It also reminded me that a lot of kids hate going to museums with their parents (many parents are very boring) but having a space to themselves might seem very, very cool. Especially a place where they can -do- things. 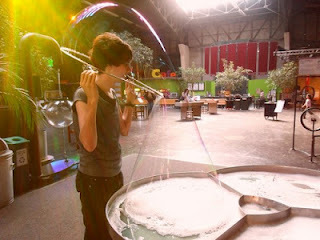 Hence the Exploratorium reference. Also, I've learned a lot from Claudia Schelyer of haptick about how people actually handle and behave around exhibits, and it makes me want to build them and build them awesome. Gears! Wheels! Lights! Sparks! Explosions! I love your vision, Jericha! I do hope, kids under 6 or not, that you open this wonder close enough to San Francisco that I can join you there on a regular basis! Thanks, Naomi! I mean, I don't think I could really ever be so mean & exclusionary as to ban kids. I think I'll end up doing something along the lines of what Andrew & Courtney suggested. Believe me, near SF would be ideal...if only it wasn't the MOST EXPENSIVE REAL ESTATE IN THE COUNTRY...sigh.